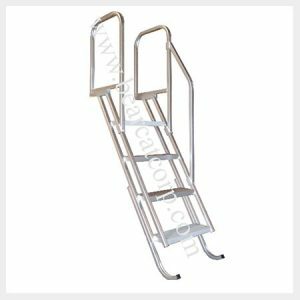 Our dock stairs come in 3, 4 or 5 step options. All steps are 22″ wide. 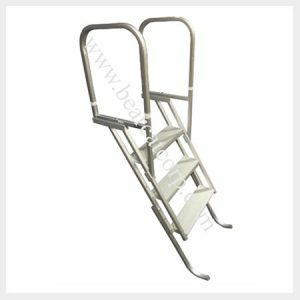 Ladders have a 30 degree angle to provide easy access in and out of the water. Model depths range from 28″ to 68″. 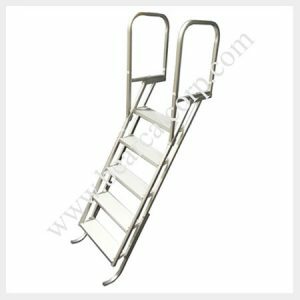 Ladder features include: 201R1 clear anodized aluminum. Assembly required and mounting hardware is included.